The hardworking staff freely admits that we’re hooked on the Wall Street Journal’s great Anatomy of a Song series. When it reached No. 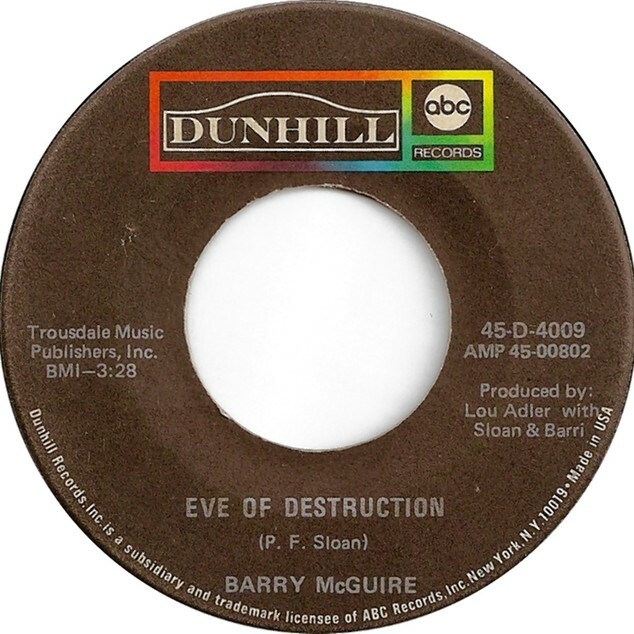 1 on the Billboard Hot 100 chart on Sept. 25, 1965, “Eve of Destruction” was a pop song like no other. With its incendiary lyrics—“You’re old enough to kill, but not for votin’…and even the Jordan River has bodies floatin’ ’’—it was a far cry from “I’m Henry VIII, I Am,” by Herman’s Hermits, which had topped the chart the month before, as the Watts riots exploded in Los Angeles and soon after President Lyndon Johnson announced a troop buildup in Vietnam. Critics slammed “Eve of Destruction” for its bombast and some radio stations banned it. But millions of teens bought the single, and it stayed in the Top 20 for two months. The WSJ piece helpfully reassembles the original players. Producer Lou Adler (The Mamas & the Papas, Carole King) put Mr. Sloan together with former New Christy Minstrels singer Barry McGuire and members of the Wrecking Crew, including drummer Hal Blaine. Well worth checking out their conversation. Meanwhile, fifty years later, the song seems vaguely ridiculous. At least to our ears. 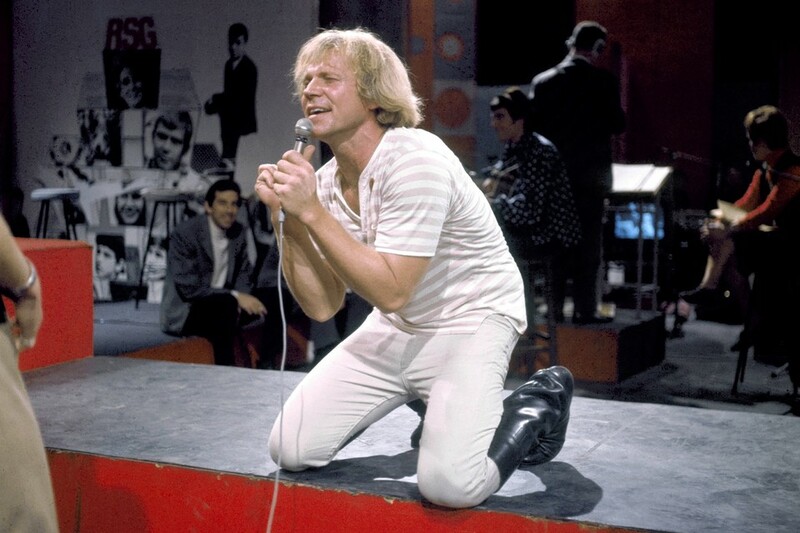 This entry was posted in Uncategorized and tagged Anatomy of a Song, Barry McGuire, Eve of Destruction, Hal Blaine, Lou Adler, New Christy Minstrels, P.F. Sloan, Phil Sloan, Steve Dougherty, Wall Street Journal, Wrecking Crew. Bookmark the permalink.